Disney Pixar's superhero family, the Incredibles, has joined forces with the American Library Assn. for "Library Card Sign-up Month." Anytime, between September 1-30, stop by the Hancock County Public Library in Greenfield or New Palestine. Get a card with clues about the location of the five "Incredible" characters inside the library. Start hunting and stamp your card each time you discover a character. A winner from each library will receive a package that includes the new Incredibles 2 DVD, popcorn, and candy—no capes! 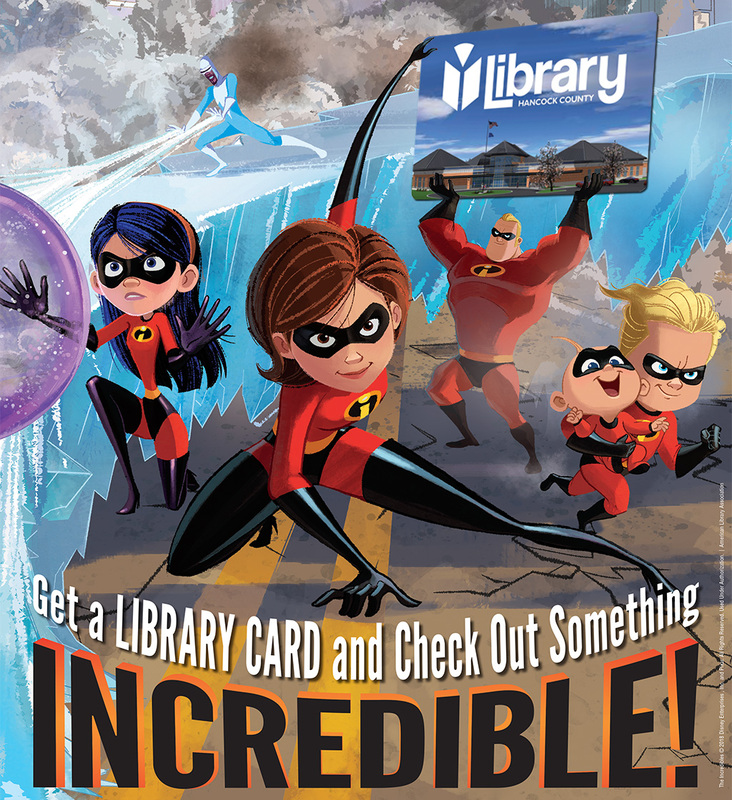 All September, the Incredibles will remind families, students and people of all ages that signing up for a library card is a great step toward a super lifestyle. Libraries offer fun and informative resources that help you pursue your passions and succeed in work or school.